When your marriage relationship changes, you need sound legal advice in all facets of legal services to protect your rights. Divorce happens for several reasons, such as spousal abuse or cruelty, adultery, desertion or extensive incarceration. Spigle, Massey & Clay, PLC stands by you throughout your divorce. 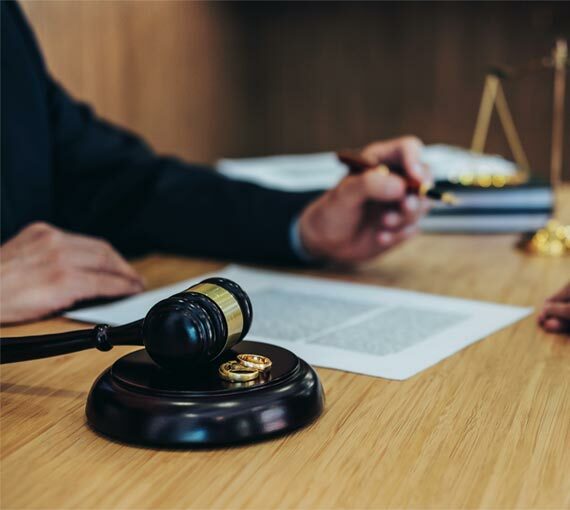 We obtain the best possible results in court or at the negotiation table, and have extensive experience handling issues such as the fair distribution of assets, the division of a marital home, child support payments, and child custody rights. Call Spigle, Massey & Clay, PLC, at (800)-218-5409 or contact us online to schedule a consultation. Married residents may seek the legal protections of divorce in the Commonwealth of Virginia. Spouses may seek to separate if their relationship turns cruel or abusive toward the family members in the home. Divorce attorneys at Spigle, Massey & Clay, PLC help clients in the Fincastle and Salem areas of Virginia. Discuss your need for protection from abuse with your attorney in confidence. Even if you do not live under the threat of cruelty or abuse, relationships can come to an end amicably. Having a strong attorney from Spigle, Massey & Clay, PLC can help to protect your rights in optimal circumstances. This is important when you need to negotiate such things as dividing assets or who will have custody of minor children. Consult with your attorney about any asset distribution questions you may have. After the judge signs a final divorce decree, the matter may not be completely settled. This is especially true if a spouse or younger children receive support payments. Trust the attorneys and staff at Spigle, Massey & Clay, PLC for reliable child or spousal support modifications as these needs arise.